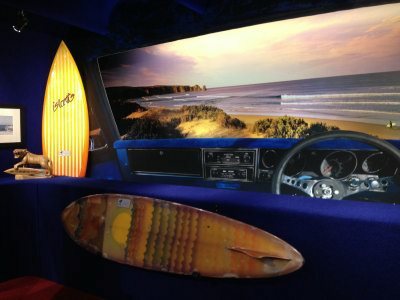 The 1960’s Kombi van at the front of The Islantis Surf Experience at Newhaven gives visitors a sample of the surfing culture found inside. Formerly the Islantis Vintage Surf Expo, the new attraction is definitely more an experience than a museum, and is a credit to the vision of owner Scott Jackson. 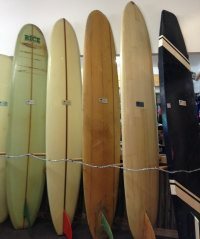 A new extension to the store houses the four different rooms, each showing a particular aspect of surfing’s history and culture, with the focus on Australia and especially Phillip Island. Surfing originated in Polynesia, particularly Hawaii and Samoa, well before Europeans came into the area. For the Polynesians it was not a sport as we know it today, but was an integral part of their culture. In Hawaii the king was the best surfer with the best board, and the elite surfed with quality boards at the best beaches where commoners were not allowed to surf. Boards were radically different to those used today. They were heavier, and anything between 2.5 metres and 5.5 metres in length. Surfing was introduced to America in 1907. At this time George Freeth, born in Hawaii with a part-Hawaiian mother, came to California to give surfing and life-saving demonstrations. Hawaiian surfer Duke Kananamoku introduced surfing to Australia in 1915. He gave a surfing demonstration at Freshwater in Sydney - the rest is history! The entry to the Islantis Surf Experience is in the shape of a church door. This gives visitors an idea of what the first room holds. And, yes, it is a Shrine to Surfing! 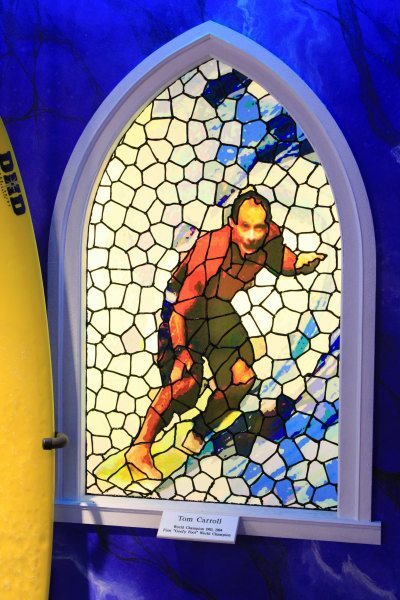 Shaped like a chapel, it has several stained-glass windows depicting surfing greats. 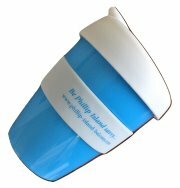 At the head is the Duke, while along the sides are images depicting Australian icons such as Layne Beachley, Midget Farrelly and Tom Carroll. Next to each window is a replica of each champion’s surfboard. 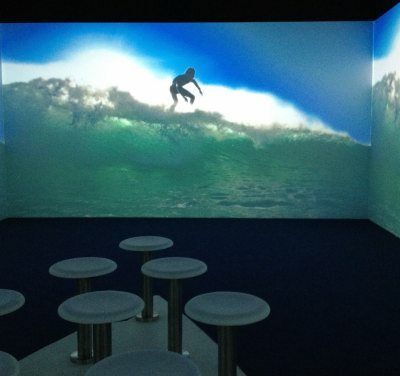 Walk through to the Waves 360 Cinema – a room with a 360 degree screen wrapping around visitors. The film is of a local surfer enjoying a day’s surfing at the famous Woolamai Beach. Visitors have the virtual experience of lying on a surfboard, paddling out and surfing the breaks. When you find your feet again walk through to the next exhibit – the Sandman Secrets room. Anyone over a certain age will remember the Sandman van, a favourite of surfers during the 1960’s and 1970’s. This room holds memorabilia of the history of surfing on Phillip Island. Included are photographs, rashies signed by famous surfers, including Kelly Slater, and other historical paraphenalia. There is even something for film buffs - a poster for the film “On the Beach”, which was filmed at Phillip Island in 1959. Hanging from the ceiling are several surfboards customised with art work. When I visited the famous Bells Beach trophy was on display. This honours the fact that this event was one year held at Woolamai Beach because of no surf at Bells. A wetsuit signed by nearly all Bells Beach winners, male and female, was also on display. Next to the Sandman Secrets room is a display of surfboards showing the progression of board design. The difference between the first boards - a plank of wood steamed to a curve at one end - and today's high tech equipment is amazing. 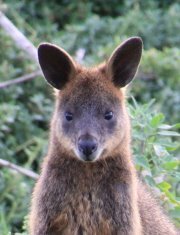 Of particular interest is the influence of famous Australian surfers such as Mark Richards, a legend of the sport who rules the waves worldwide during the 1970's and 1980's. He began shaping his own boards and designed the first double-fin surfboard - easier to manoeuvre in small, sloppy conditions. 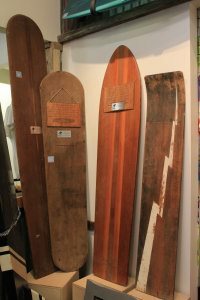 Apart from surfboards through the centuries, there are early examples of body boards and surf skis, including one of a fascinatiing hollow construction of plywood, displayed in the nearby retail area. Islantis Surf Experience is open 7 days. Entry fees are Adult $4.50, Child $2.50 and Family $12.00. I highly recommend this experience whether you are a surfer or not. It is a wonderful way to immerse yourself in surfing culture and to learn the history of this sport on Phillip Island.